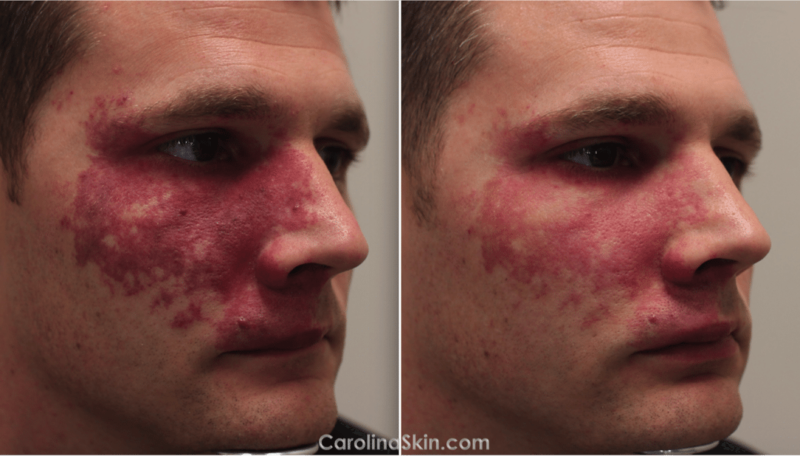 A combination treatment plan was created for this patient utilizing both the Vbeam and M22 to significantly improve a port wine stain birthmark (nevus flammeus). 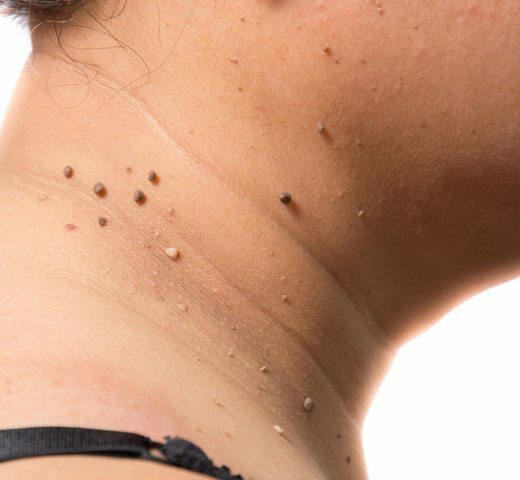 Birthmarks & other skin growths such as acrochordons (skin tags) & seborrheic keratoses (liver/age spots) are harmless to your health, but nonetheless can be a burden when you look in the mirror. Most of the time, these cosmetic concerns are easily removed or significantly diminished. At your consultation visit, we will assess your concerns & recommend treatment options that are custom made for you & your daily routine.